We had lunch at this restaurant near my sister’s place some many weeks ago. I like the decorations. 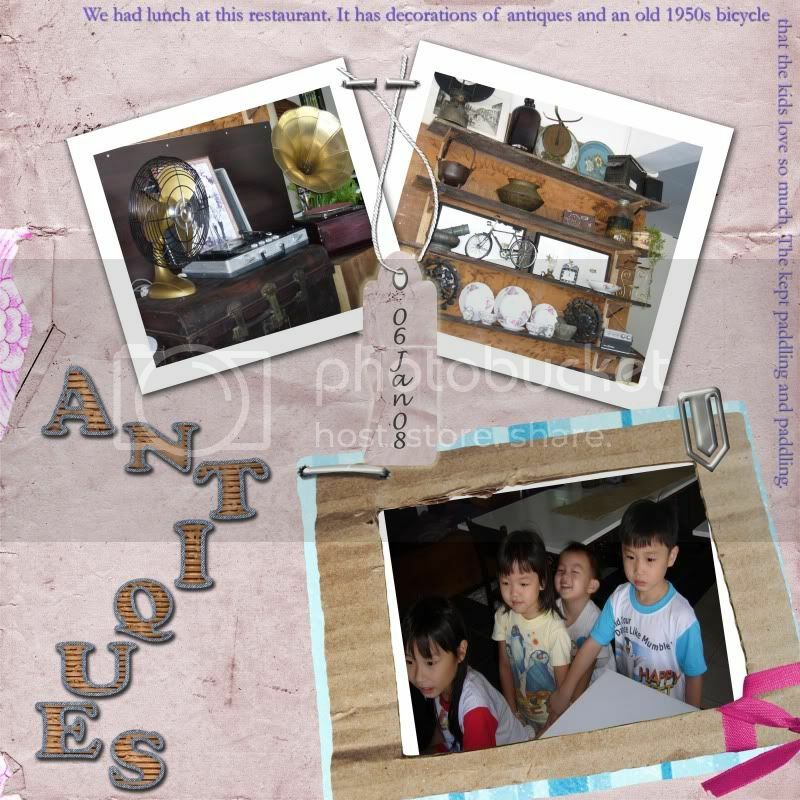 It has old antique stuffs like fan, record player, a tricycle that looks like a scooter and many other stuffs. They even have those wooden door in the old days like those chinese kungfu movies. Couldn’t really describe it and I’ve forgotten to take a picture of that. Really really cool decorations. My sis was raving so much about how good the food was. We all tried and it was double yucky. Restaurant decorations were good but can’t say so about its food. When we finished, we found out that the main cook was sick. Aw! Tough luck! This entry was posted on Thursday, January 31st, 2008 at 1:02 pm	and is filed under Darien, Denisha, Food for Thought, Growing-Up. You can follow any responses to this entry through the RSS 2.0 feed. You can leave a response, or trackback from your own site. i love old stuffs too! I would go for food too. are you giving it a 2nd chance? wish you and your family a very happy and prosperous Chinese New Year. Happy CNY to u and ur family. Gong Xi Fa Cai!